I have been meaning to do Sarah Arrow’s 30 Day Blogging Challenge for months. My excuses/reasons (depending on your perspective) for not taking the plunge have been vast and varied. My main question has been do I blog for the existing commercial photography side of my business or the new portraiture studio I am in the middle of setting up? I have been going round in circles on this for much more time than is productive. In the end the decision is obvious. The setting up the new side of the business and the existing commercial work have a common business based theme and are things I am constantly dealing with, so are both the most useful things to reflect on and easiest to come up with topics for. Lesson 3: Sometimes the path of least resistance is the one you should take, despite most of the motivational pictures on the internet say the opposite! STARTING POINT…Where does my online promotion currently stand? Blog: Current number of posts 12. Frequency of posting: once every 3 months. 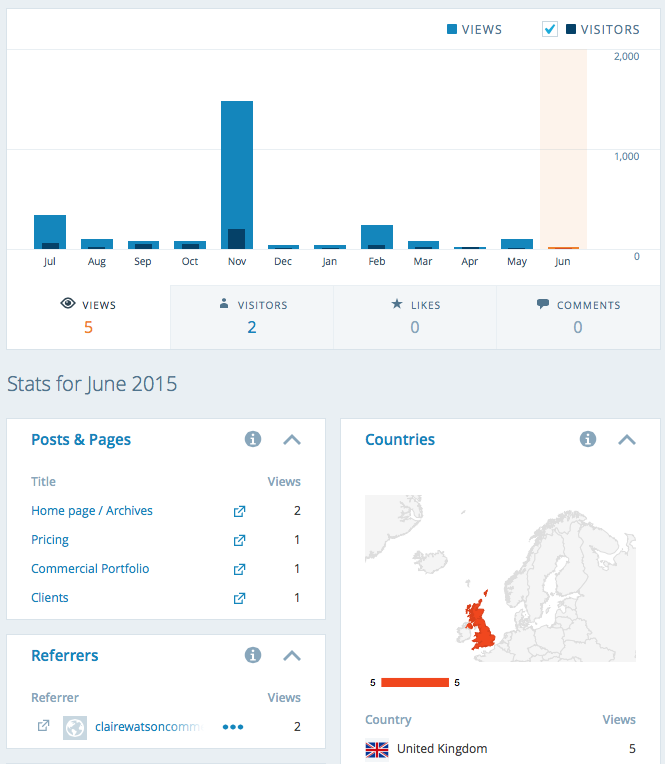 Commenting on other blogs: almost never…hence the uninspiring screen shot. Blog everyday (Total 42 blogs). Comment on at least 2 other blogs. Post content (blog or other relevant content) on LinkedIn everyday (30 posts). Tweet relevant content 3 times a day (total tweets 3,152<). 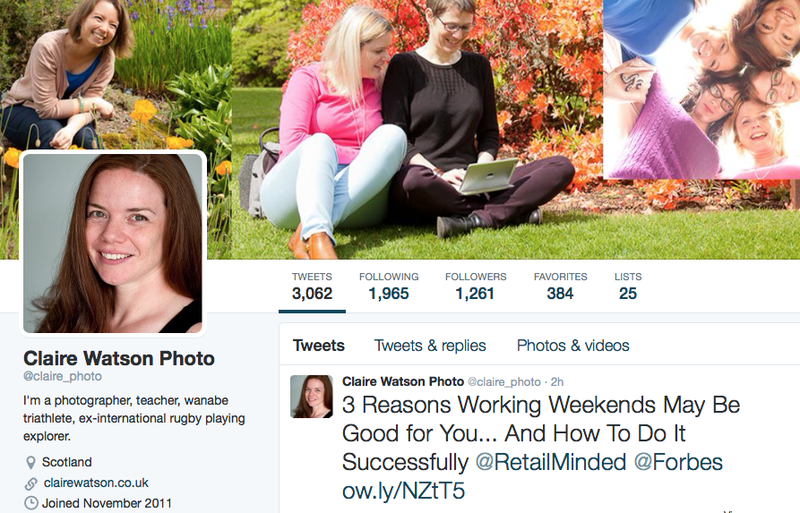 Follow 5 other bloggers on twitter every week (Total following 1,980). NICE THINGS…stuff I’d like to happen but as I have no control over how other people will act I’m not including them in goals. Have 50 people reading my blog by the end of the 30 days. Have 3 pieces of work directly linked to the blog. Have a group of online blog based friends who I can bounce ideas off when needed and vice versa. Woohoo! 1 down only 29 to go! Hey, great to see you started the blogging challenge! You are so right just to pitch in. Best of luck. I like that your goals are action-based rather than results-based. We can control actions and modify them if we don’t get the desired results. Great start and it’s fantastic that you’ve got this record of where you’re starting to compare at the end of the challenge. Well done. Ambitious! I’m currently biting down to write one post a week for the coming months. One a day sounds overwhelming for myself. Feedly.com – subscribe to all the blogs you’re interested in and read their posts from one place. Makes the commenting bit a lot easier. Buffer.com – queue social network posts for automatic posting with a configurable schedule. Enables you to batch the tweeting/LinkedIn posting. FollowerWonk.com – search for tweeps to follow, based on many different criteria. Makes it easier to find unconnected people with shared interests. Unfollowers.com – manage Twitter and Instagram followers. Copy followers from influencers, unfollow non-followers, etc.